He is trained in various ophthalmologic specialties at All India Institute of Medical Sciences (AIIMS), New Delhi during post-graduation. After that he received specialized training in Vitreo-Retina and Uvea services at Vitreo-retina and Uvea unit at AIIMS. He was also a sub-investigator of various multinational studies conducted at AIIMS. He was also involved in teaching post-graduate students at AIIMS for 3 years. 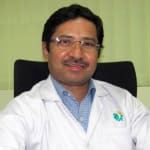 He is a member of various national ophthalmologic societies and has presented papers at national and international conferences. He also has publications concerning retinal sub-speciality in indexed journals. Book an appointment online with Dr. Zahir Abbas on Lybrate.com. Lybrate.com has an excellent community of Ophthalmologists in India. You will find Ophthalmologists with more than 43 years of experience on Lybrate.com. View the profile of medical specialists and their reviews from other patients to make an informed decision. I feel irritation in eye due to long driving pollution and also laptop glare can you suggest eye drop or home remedy. My son who is 8 years, continuously getting morning sneezing and itching to eyes (even after washing). Also he keeps falling Sick often by getting cough and fever. Any precautions I can take to prevent this. Sir I have a problem in my eye when I m using laptop or mobile so please help me. Hello You should get your eyes tested by an ophthalmologist. Use CMD2 eye drops, 2 drops in each eye twice daily. Hiii. I am 20 years old boy. I have red eyes last few days. Specially in night. When I wake up in morning my eyes become attach. What should I do please help. Hi, use CMD2, eye drop , 2 drops in each eye twice daily. Take Argentum nit. 30, 3 drops once daily for 7 days. Wash your eyes with warm water in the morning. I have my eyes reddish always when I rub my eyes. I have taken so many precautions but there is no effect .What should I do? Hello. I think you have allergic conjunctivitis. 1. Eye allergies, called allergic conjunctivitis, are a common condition that occurs when the eyes react to something that irritates them (called an allergen). 2. The eyes produce a substance called histamine to fight off the allergen. As a result, the eyelids and conjunctiva (the thin, filmy membrane that covers the inside of your eyelids) become red, swollen and itchy, with tearing and burning. The key to treating eye allergies is a. Avoid or limit contact with the substance causing the problem. B. Avoid rubbing eyes instead do cold compresses. C. Use antiallergic eyedrop like olopat eyedrop twice daily d. Lubricating eyedrop like flogel thrice daily e. Use mild steroid like flurisone in pulse dose in severe allergy this will help you I am very sorry dear to say that there is no medicine that can cure allergy. Only way is to stay away from all those things that you are allergic to. This is a provisional diagnosis. Consult your ophthalmologist for detailed examination. I am facing eye dryness problem from last 2 years I am checking my eye regularly but there is no significant improvements in my eyes, Earlier I used to sit computer upto 5 to 6 hrs in a day. But now days even 1 hr I am getting headache. Please tell me the readies. Hello you may be suffering from indigestion problem since many days. Indigestion increases pitta dosha (heat) in body resulting in such complications like dry eyes. Make sure your stomach feel very light. Do not eat late night. Computer use should be limited. If not possible then take a break of 5 minutes every hour while doing work on computer. Revert back if necessary. I am 24 years old and having red eye in right and bottom position of right eye only for past 1 week. In addition, little bit of pain too in the right eye since yesterday. What should I do? Also I work a lot on my laptop. Apply rose water in eyes daily twice. And get eye massage done once in week for 1 month to get eye muscles toned up. Due to excess masturbation my friends eyesight is continuously dipping. Which eye drops can work?Please tell sir. Hello there's no connection between masturbation and eye sight this could be due to uncorrected refractive error kindly consult local opthalmologist. Sir. Meri ankho m bohot dard rehta h or iski wjah se sar m bhi rehta h mujhe kya krna chaiye. Avoid excess pressure to your eyes Consult physician for headache because it can be due to many reasons. I have cataract in both my eyes. The left eye has more blurring. The doctors recommended that the cataract should mature for operating it. however I have been told that now it is not necessary for the cataract and pin hole laser surgery can be done at any stage. What is it's cost and where can I get it done at a economic rate. I am an activist and have not earned for last 20 years and devout my entire time for various causes. I live in Delhi NCR. As you told sir that you want cheaper cost so best is that you go for phaco surgery but it is preferred that cataract should not be hypermature as it can lead to complications. In case of hypermature cataract, femtolaser surgery can be done but it is way too costly for you and of not much benefits.